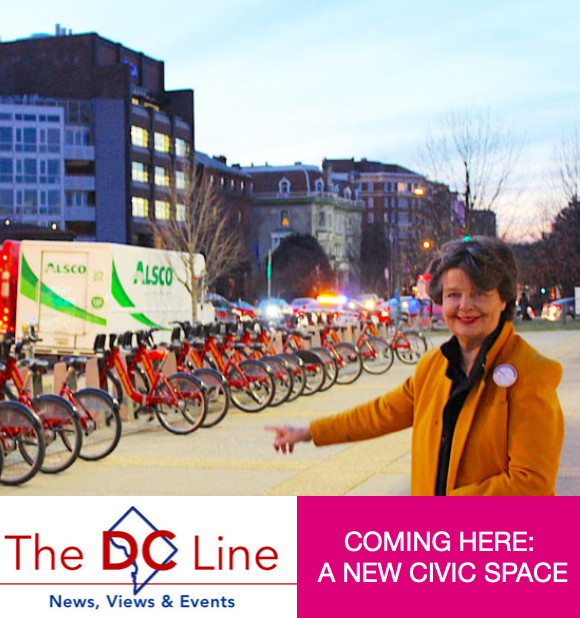 TheDCLine, an important local news service, reported on RMA's project for a new community space off Dupont Circle. Deborah Shapley, President of RMA was quoted on how the bare sidewalk by the bike stands can be transformed. 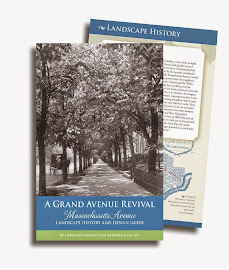 With rows of trees and greenspace, it would highlight the site's historic and community importance and add beauty. Talk about busy! On weekdays 20,000 people use the Dupont Circle Metro station. Nine bus lines intersect within a few blocks. 25,000 vehicles pass, giving off pollution and noise. The Capital Bikeshare stand is one of the busiest in the city. Our Tree Plaza plan would keep the present number of bike docks and add more of them a little bit away. “It is quite a crossing point for newcomers and visitors to DC — but nobody pays attention to it," Shapley explained in an interview with DCLine's Naomi Harris. "We are expecting and hoping that, through this project, the regular users and visitors in the community will discover it can be a real place." The article reported that RMA had won a $30,000 grant from the Chesapeake Bay Trust to design the plaza as a retrofit for stormwater. RMA let a contract for design to DesignGreen LLC, a woman-owned engineering firm. Rebecca Stack, the firm's principal, was quoted saying the new engineered design should be ready by May 15. Chris Huska of Huska Consulting will work with DC agencies to make a plan that meets stormwater and other environmental goals and city standards for walkways, bikes, etc. Huska Consulting is one of five firms on the Designgreen Plaza team. "Green infrastructure can soak up stormwater and decrease runoff that would otherwise enter the sewage system," the article said. Designgreen did one such retrofit creating attractive green space at Duke Ellington Park, southwest of Dupont Circle. The DCLine was recently founded by publisher Chris Kain. Its mission is to "offer a first stop to residents to find the information they need to be active participants in hometown DC." Reporter Harris' article appears in a section called Built Environment. The article's title was apt: "Roots of Collaboration."